The day, 5th April 2011 , may prove to be turning point of the Indian history . On that day one man known as Kisan Baburao Hazare popularly known as Anna Hazare began fast unto death at jantar mantar New Delhi in support of "Jan Lokapal Bill" .Initially central government of India neglected the movement but slowly and gradually the peaceful and nonviolent movement gathered pace and people from all corners of country started supporting it. The peculiar thing about this movement was that first time since independence people of India supported a non political person in peaceful manner and that with full zeal and belief in the person .It is this nonviolent support of people which makes Anna Hazare movement Gandhian in nature. Hitherto read only in books about Gandhian philosophy of nonviolent and peaceful protest , Hazare showed how it works on ground level . 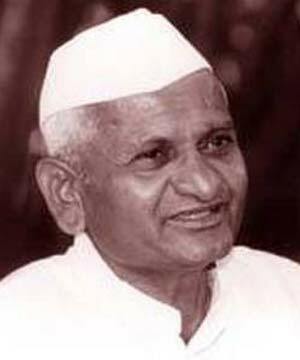 Within a week of start of movement sensing the popular support of common people , Government of India agreed to the demand of Anna Hazare . The success of movement is not defeat for politician or any other section of society but infact it is a win-win situation whereby every Indian have realized the importance of peaceful demonstration in the time where almost every group have resorted to violent protests . Also this will give opportunity to government and civil society to interact with each other and make best possible move to make India corruption free nation. Now its the time that people of India should start dreaming of powerful , prosperous and corruption free India .But the point to be remembered that the dream will come true only if we ensure that the movement started by Anna Hazare reach its destination. Agreed ... Any idea about such a system already existing in any part of the world in which there is 'A Lokpal' ... ? I am not sure but even in the US ( creator of democracy ) it is there . How much feasible is it for an institution to be a watchdog for Democratically elected People's government . Election commission is doing a great work ... but corruption is a whole together different issue . Let us hope for the best solution . I appreciate you concern and its very natural to apprehensive of any new system which was hitherto unknown to the people of india. But its not new concept and even in first time it was introduced in lok sabha in 1969 and subsequently 9 more times. But due to one or other reason it never got approval of parliament .Majority of people thinks its due to lack of political will that lokpal bill is still pending . Regarding the countries where it is functioning .first of all i want to clarify Lokpal is Indian term of more generic term "Ombudsman" .And there are many countries where its functioning some of prominent examples are Australia,Canada,Denmark,France, Finland etc. One more thing i want to clear here that our democracy is not solely based on US model.We have our own version of democracy where by relevant things have been picked from constitution of various nations of the world. I agree that in US there is no single federal ombudsman agency . But there are many agencies which handle functions related to ombudsman in other nations. I believe there cannot be a foolproof system, its the responsibility of the society as a whole to keep on reinventing itself to counter negative forces and while doing so, people can turn into a angry mob and adopt violent ways or else they can follow a peaceful non-violent path shown by Mr. Gandhi and "rejuvenated" by Anna. Over last 60 years we had forgotten the Gandhian legacy, Anna is the one who not only lectured about it, but also, tread on the lines of the same and made the Govt. to realize its mistakes and correct it, well before the frustration and anguish amongst the common man of India takes up a violent turn. Normally, the opposition acts as a check for government and also the vent to let out excess pressure. But, our politicians have lost all credibility and mass support, people trust neither ruling party or the opposition to do the right thing. Thus, civil movement was the only way. Govt. must thank Anna that he amongst a billion + population is leading the movement. Else the situation would have gone out of Govt. hands.